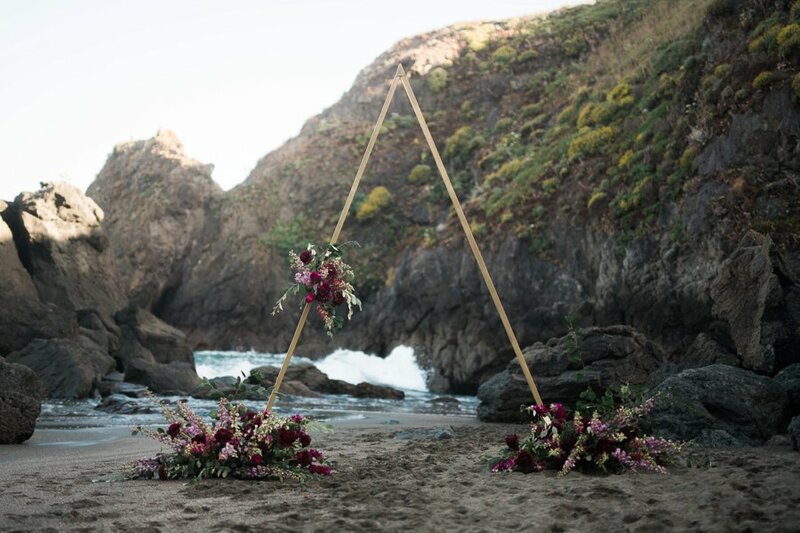 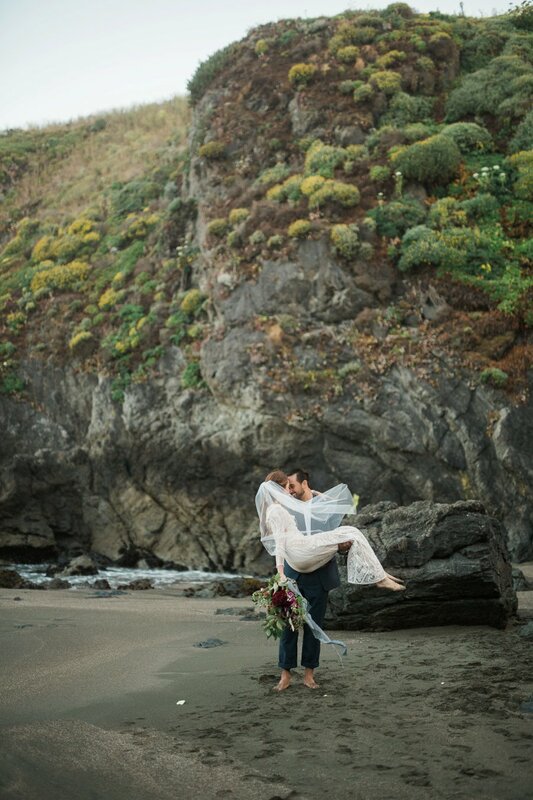 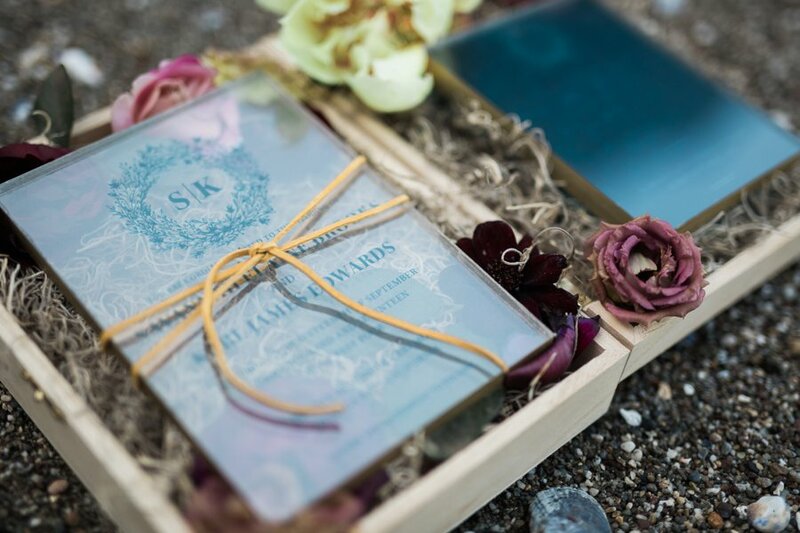 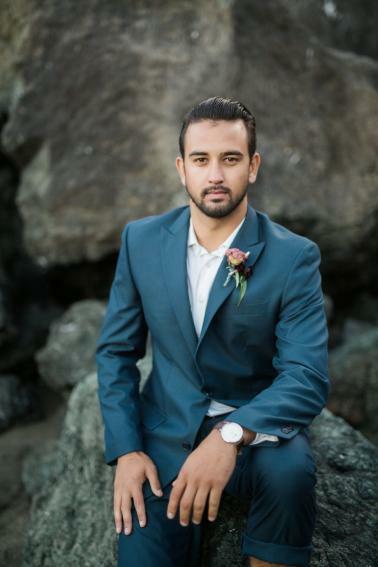 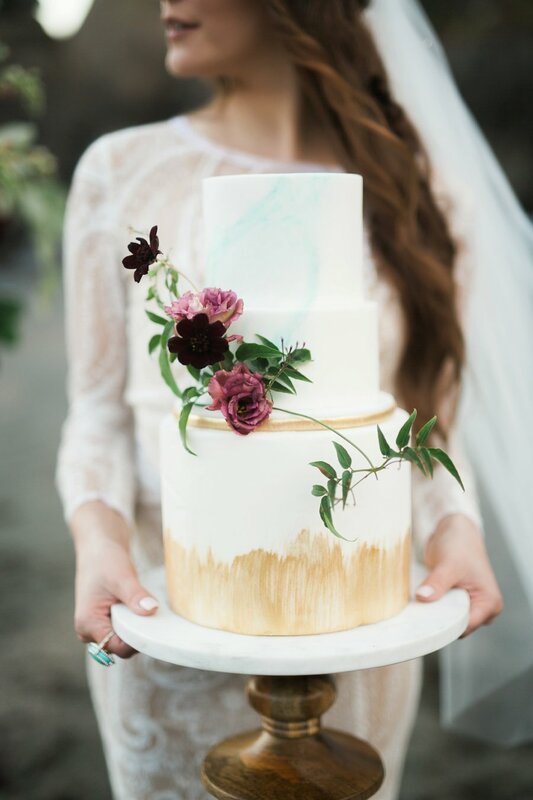 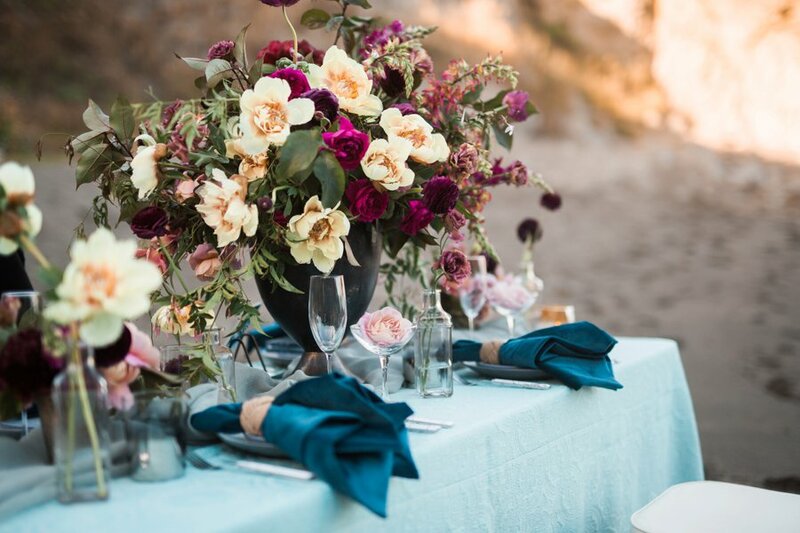 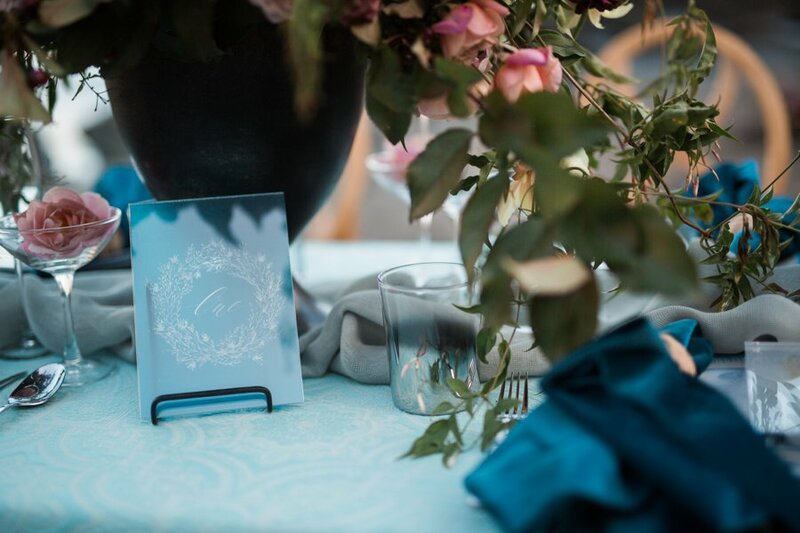 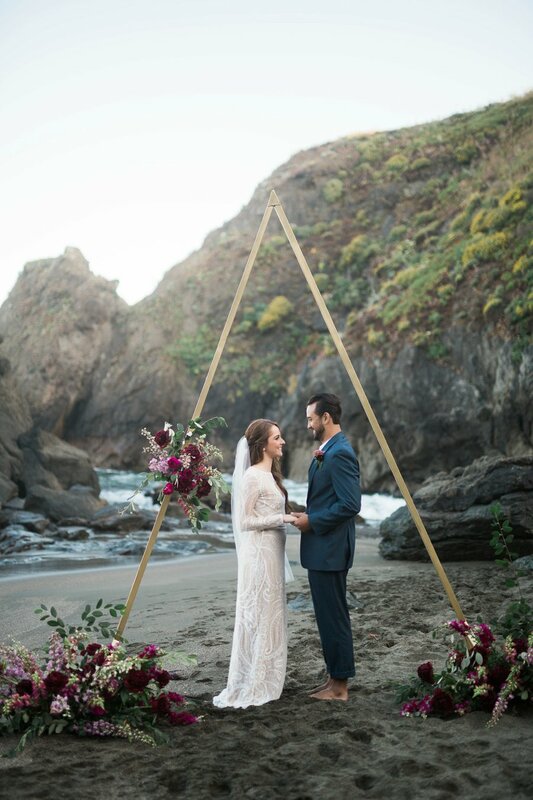 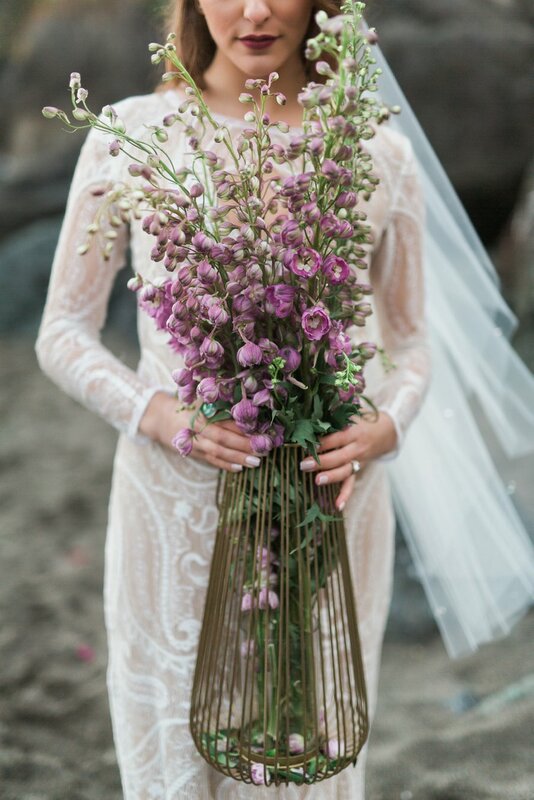 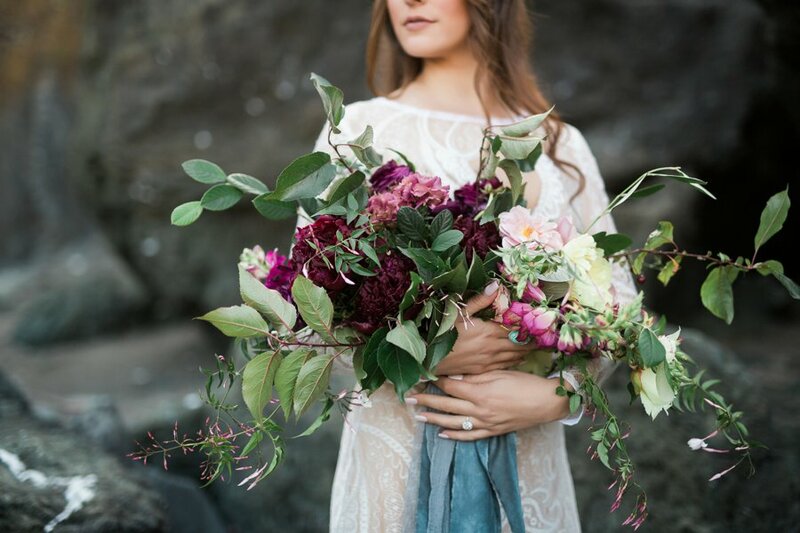 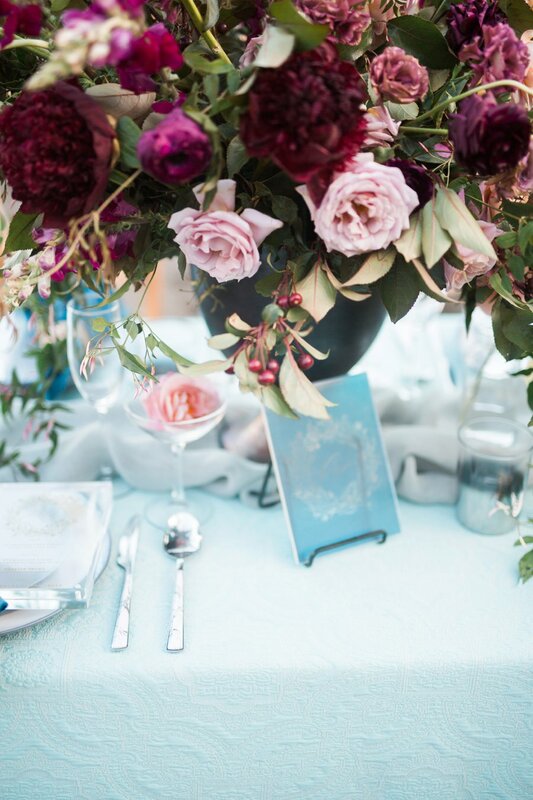 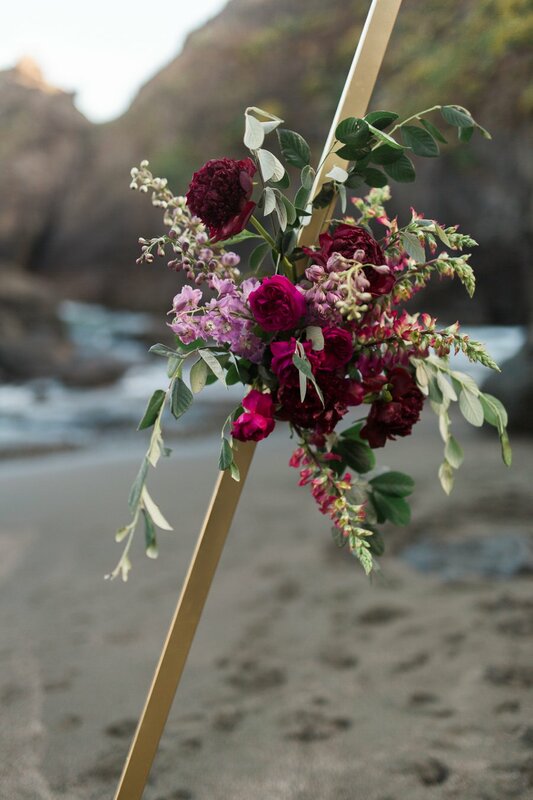 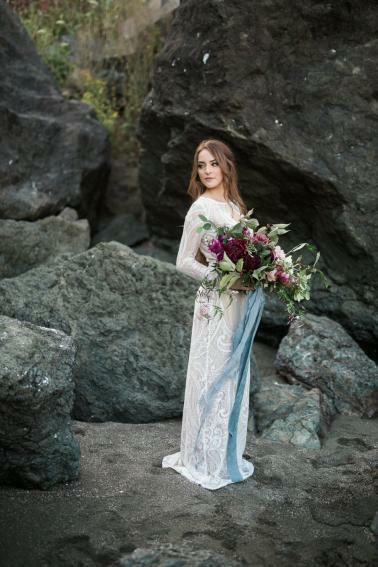 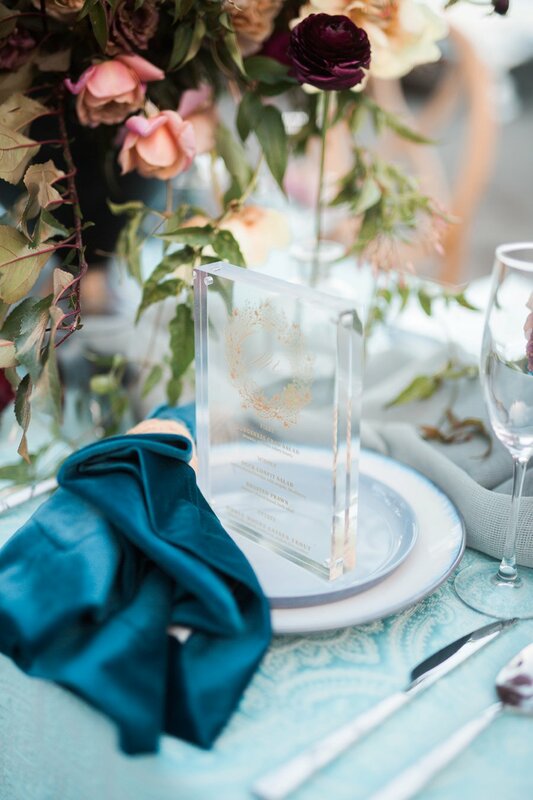 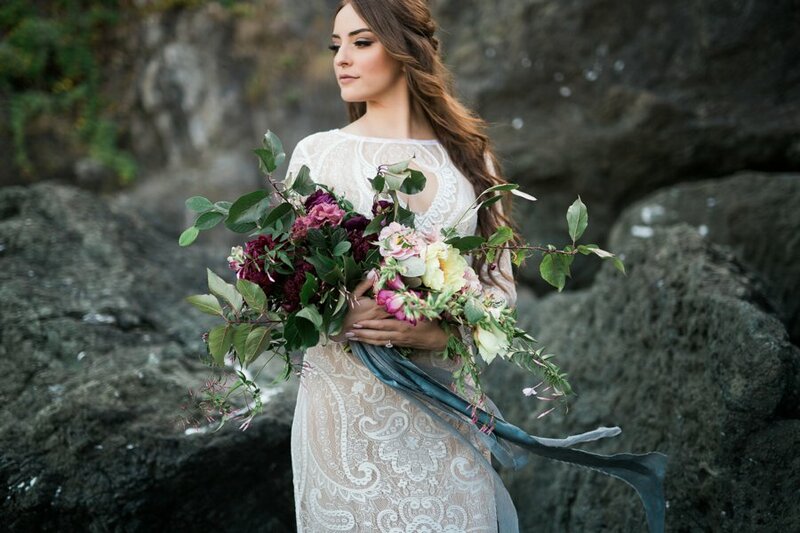 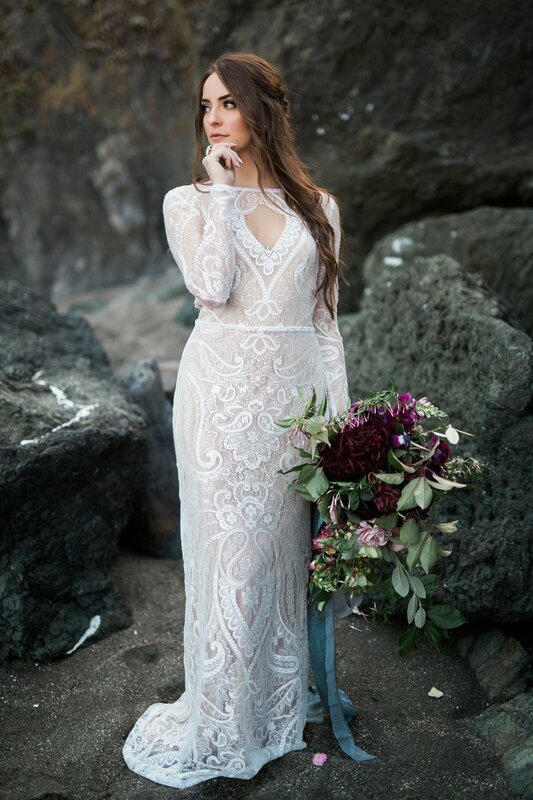 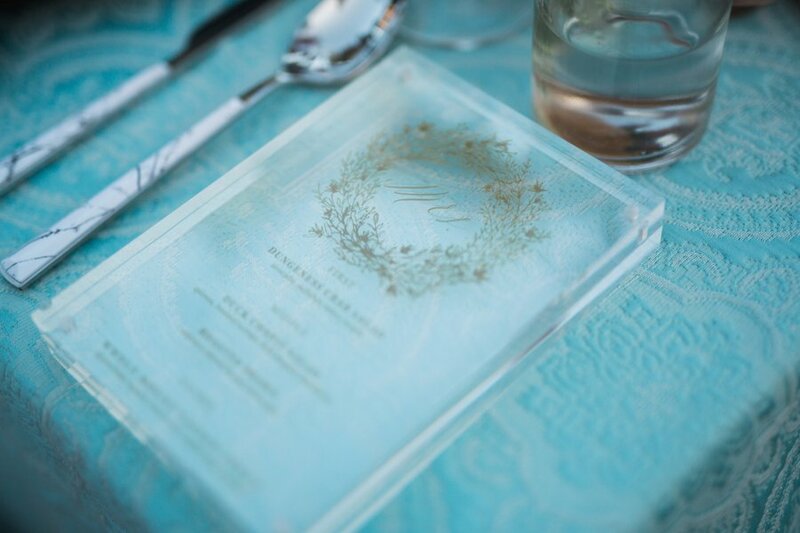 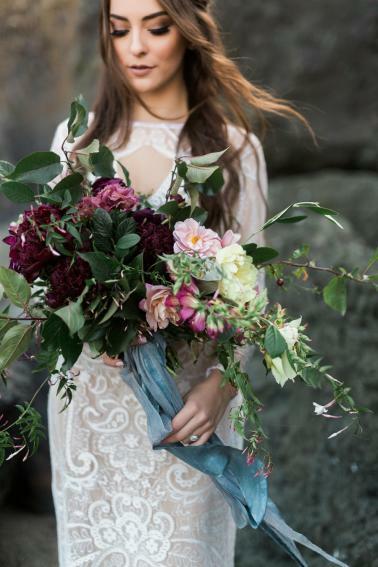 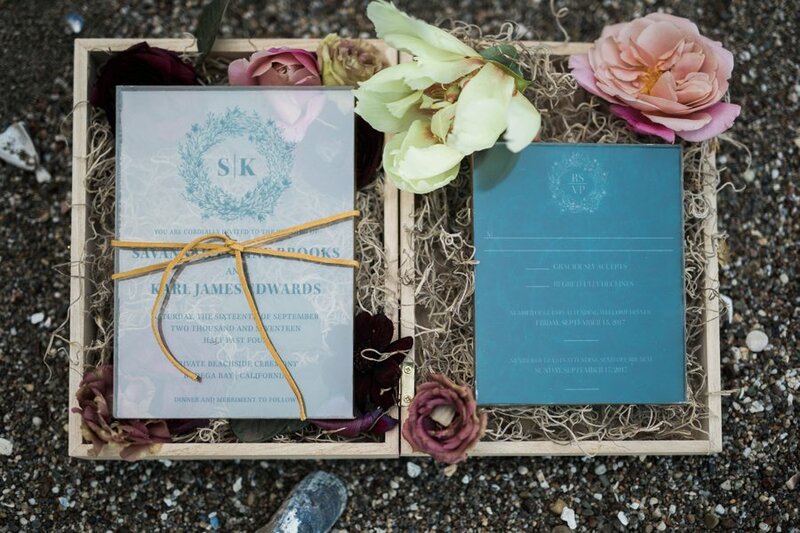 ROQUE Events took it to the beach for this modern elegant coastal wedding inspiration. 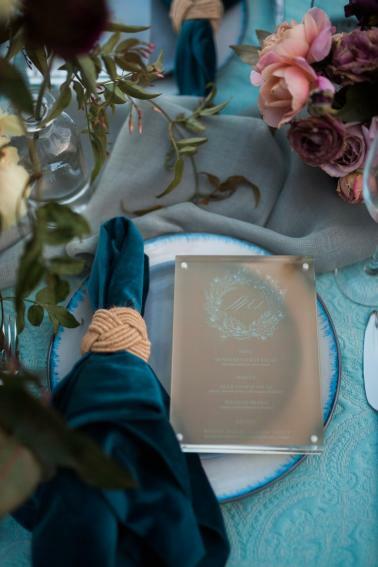 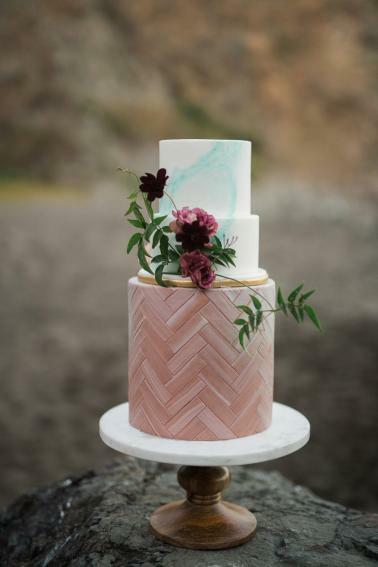 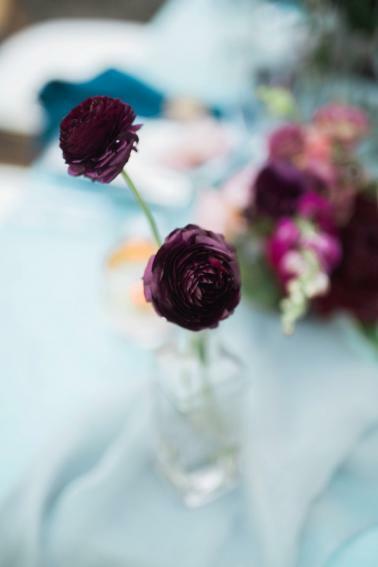 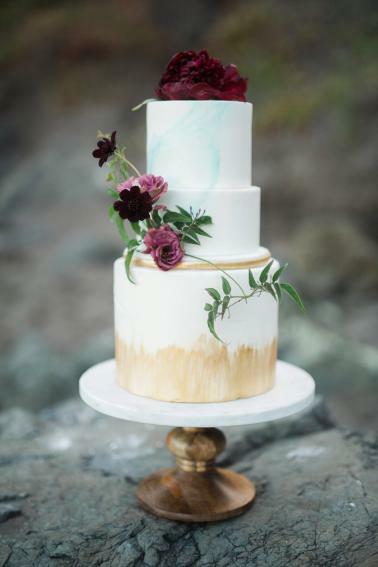 This team of creatives drew inspiration from hues of blue and marsala, with chic details and geometric accents that added depth to this gorgeous style. 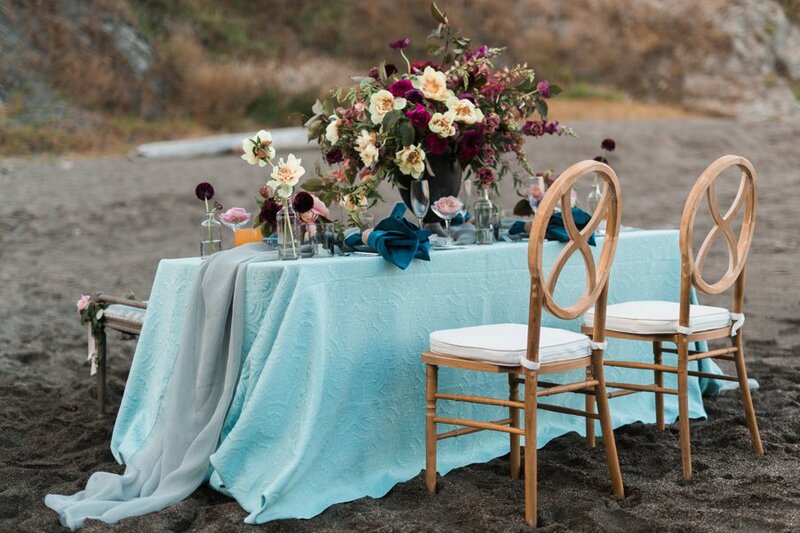 We love every intentional detail that this team created to complete this elegant seaside design, and c.m. 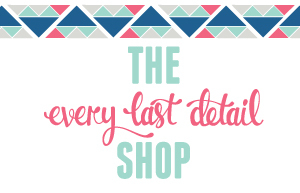 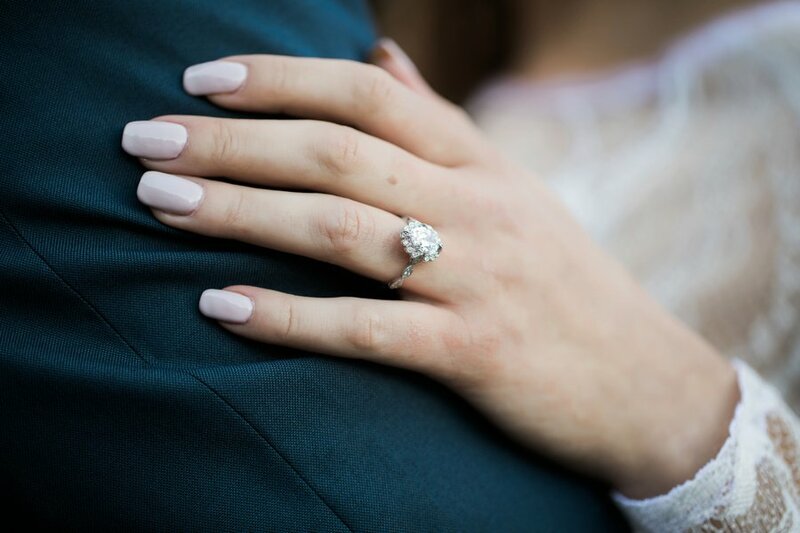 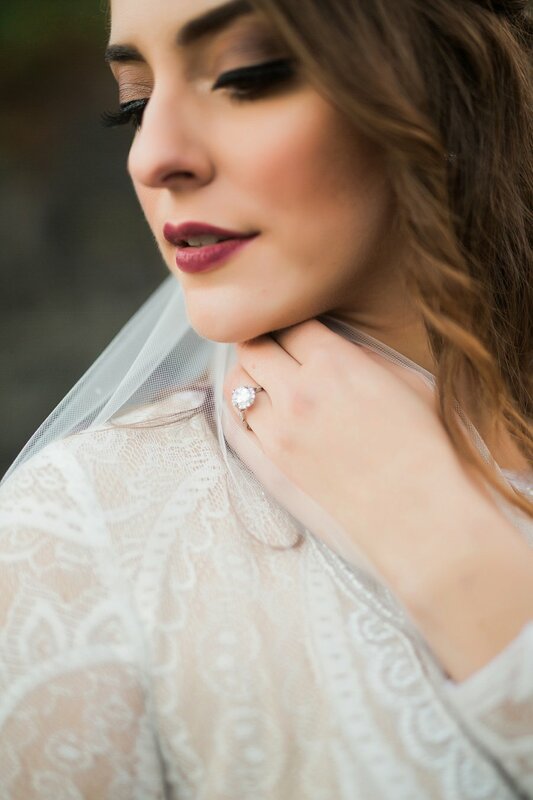 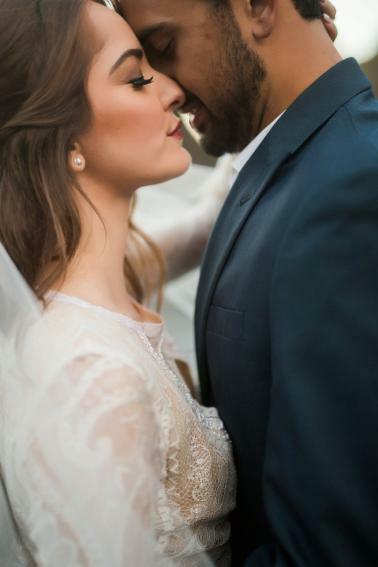 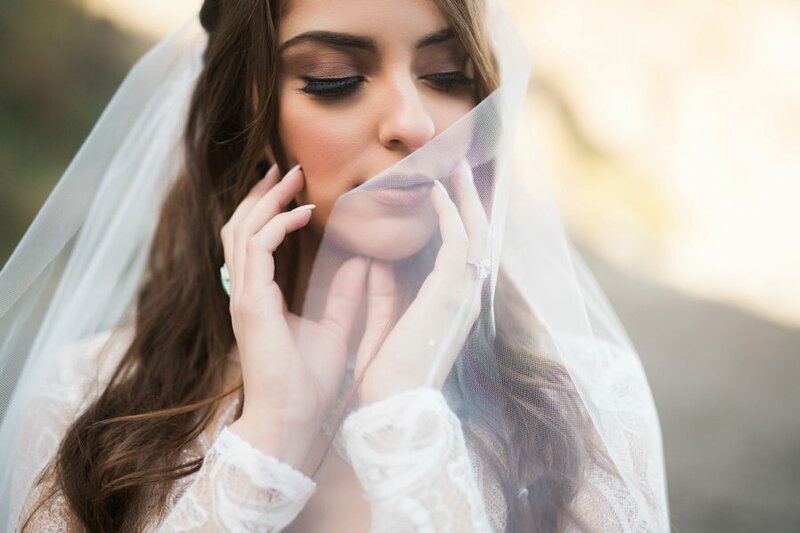 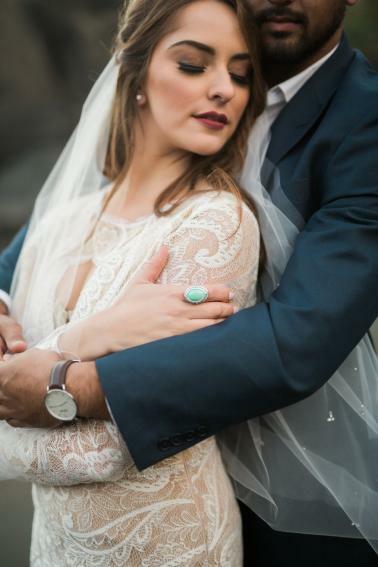 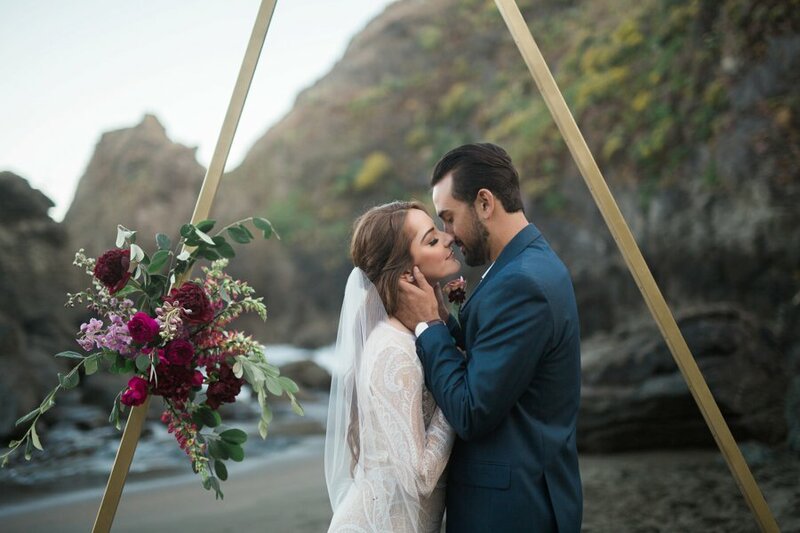 elle studios captured every moment beautifully. 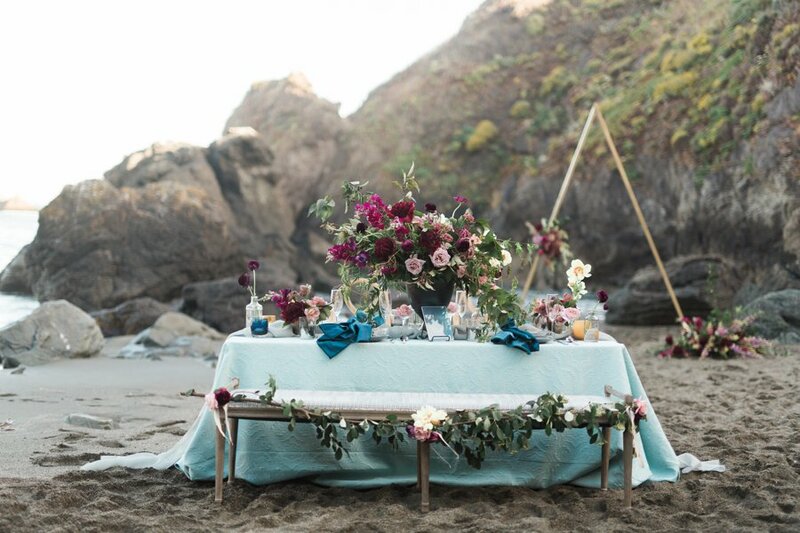 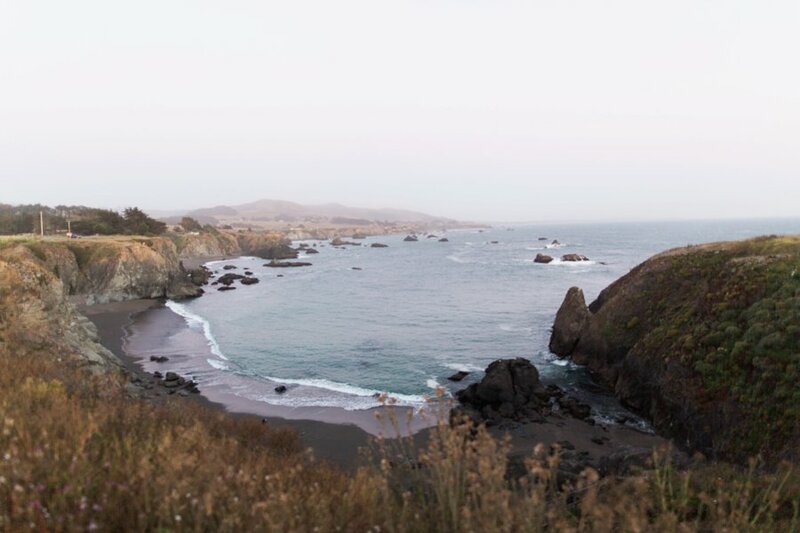 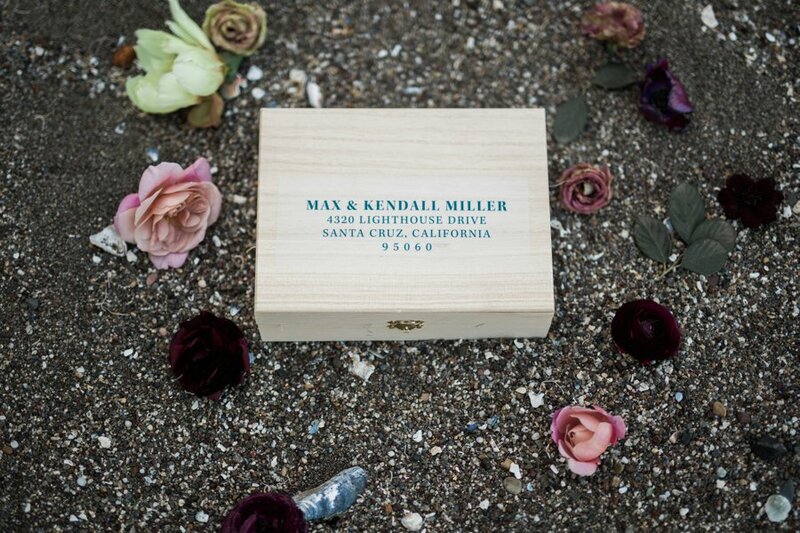 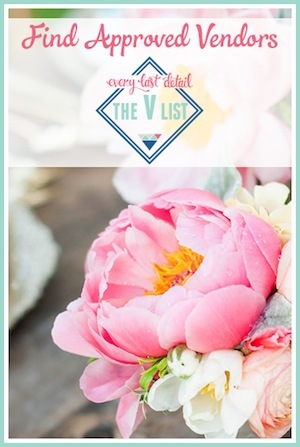 We think you’ll love how romantic these coastal wedding ideas turned out! 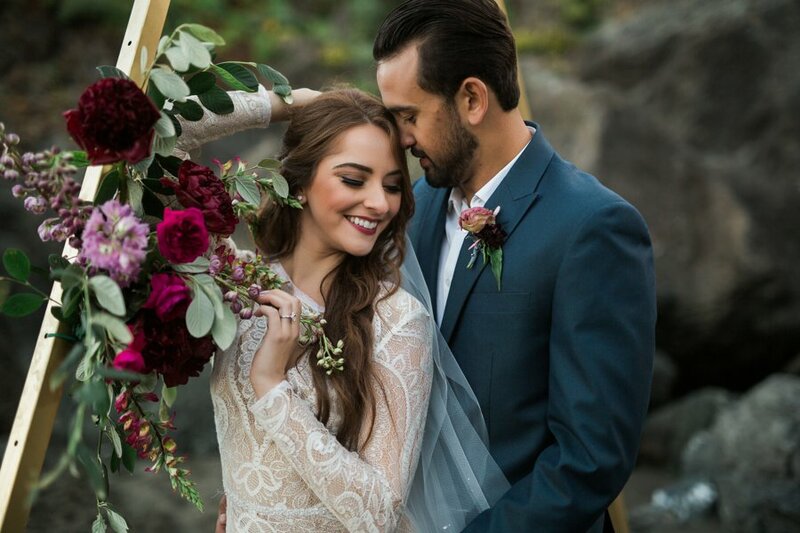 It would be a shame if we overlooked the stunning style of this bride and groom. 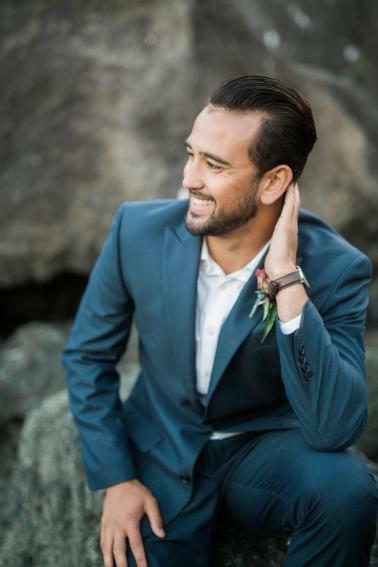 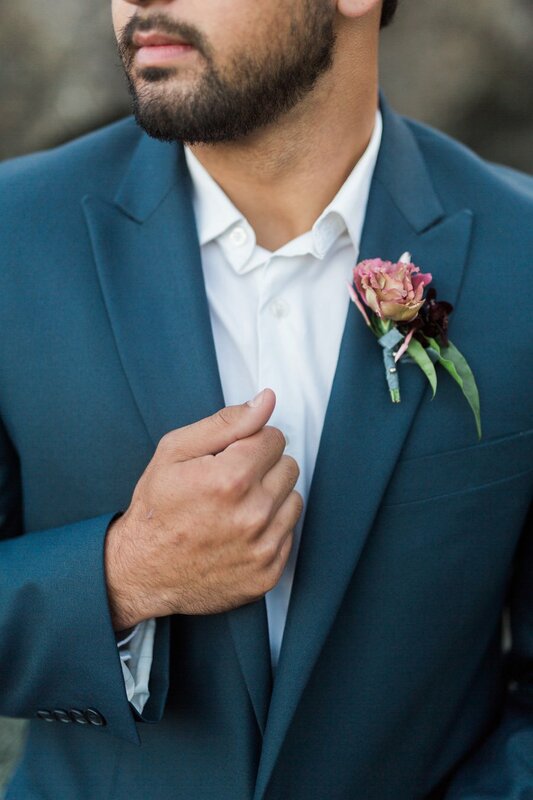 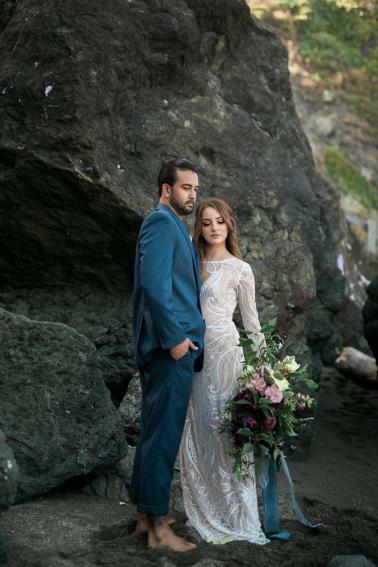 We love that they chose a chic, form-fitting lace gown from Kinsley James Couture Bridal for the bride, and a sharp navy Michael Kors suit for the groom. 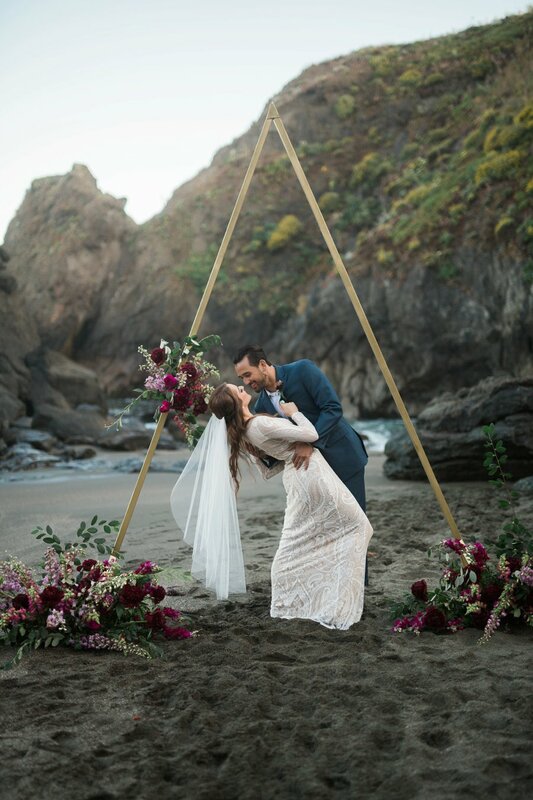 Their attire set the tone for the entire style, and we love how elegant and unexpected it felt for beach wedding, but how perfect it complimented this modern design.